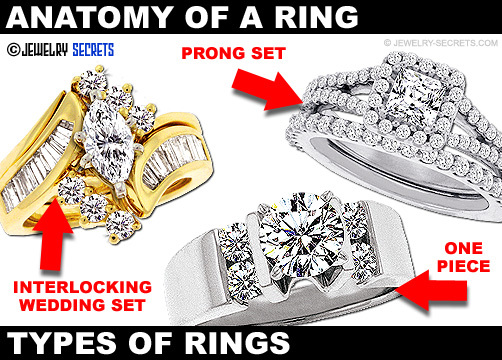 There are a lot of Parts and Components that make up a Ring, Diamond Engagement Ring, or Wedding Band. So I thought I’d break this lingo down and label and define what everything is with pictures to make it all easy to understand. 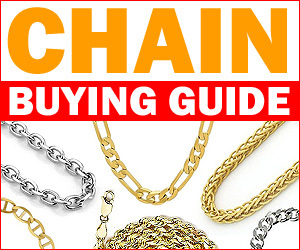 I’ll show you a picture with some Jewelry Highlights, and then explain what all this terminology means… in layman’s terms! The head is the primary object that holds in the Diamond. Usually it’s 14k White Gold and sits on top of an Engagement Ring or a Wedding Set. The head is made up of the Prongs (how ever many Prongs that may be), along with the base and usually a peg on the bottom to hold it to the mounting. 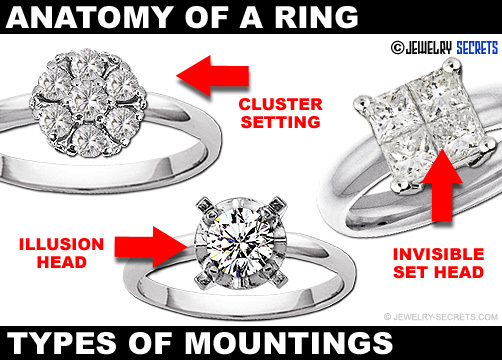 The Mounting is basically the entire ring (normally not including the center stone). It can be Plain, set with Diamonds, or other Gemstones. Sometimes this is also referred to as the Setting. The Shoulder is usually the top two sides of the ring. It’s the part that Diamonds or Gemstones get set in. You’ll often find Channels or Pave Set Stones here. It generally rises up off the finger and creates the style or design of the mounting. It helps show off the center stone well and also tends to protect it. Prongs make up most of the Head. They go from the very tips of the points, all the way down to the base. These are the parts of the Head that come up on the sides of the stone, wrap over the top and hold them in so the stones don’t fall out. These are also the parts of the Head that get the most abuse. People hit them, bump them, break them and wear them down often. They will need to be retipped, or have the Prongs rebuilt so they are durable again every 7-10 years or so. When Prongs get too worn down and beyond repair, the Jeweler will recommend putting a new Head on the ring. A 4 Prong Head is my favorite Head for an Engagement Ring. It shows the Diamond off better than any other head and doesn’t cover up the stone… It shows off as much of the Diamond as possible. I suggest 14k White Gold. White Gold is durable and won’t add any color into the stone. 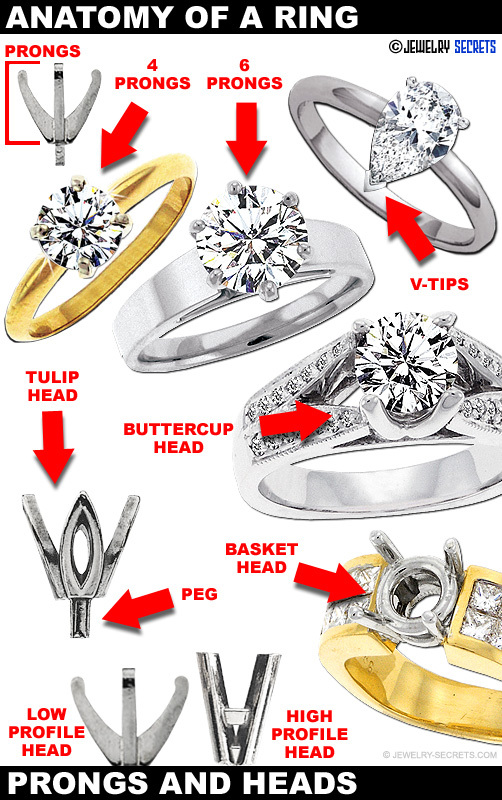 Many people love 6 Prong heads for a couple of reasons: They offer more protection to the stone. It makes it much harder to hit or Chip the Girdle, and if you break a Prong off, you’ll still have 5 Prongs left so you won’t lose your Diamond. 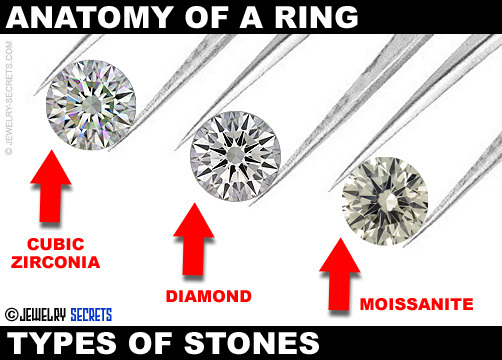 They also tend to give the stone a nice rounded look, where as 4 Prongs sometimes make a Diamond look square. 6 Prongs do cover up a lot more of the stone though, and sometimes even look gaudy. They tend to overpower the stone and may may make the diamond look small. V-Tips are the perfect Prongs to put on pointed Diamonds, such as the Marquise Cut, Princess Cut, Pear Shaped (as seen above), Trilliant Cut, and any other Cut of Diamond that has an point to it. They not only protect the end and vulnerable tip, but they also give the point a nice pointed look that really enhances the overall shape of the stone. Buttercups are pretty much the same as Tulip Heads. Just a fancy style of head that gives the ring a different look and feel. I like Buttercups a lot. I like the smoothness of them and the beautiful curves. 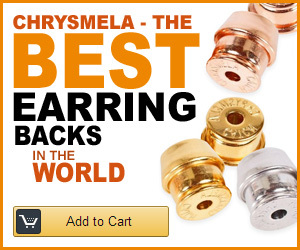 They look really great in the right style of mounting and they give a ring a nice elegant appearance. The Peg is at the base of the Head and is used to plant in a hole in a ring and soldered so it holds the Diamond in place. Some Heads have Pegs, others don’t. It really depends on what the Mounting calls for. Some have a hole for a Peg to go in, others need to be soldered to the setting or sides itself. A Low Profile Head is usually just a Head that sits low in the mounting. This is usually good for people that don’t want their stone to sit up high (so it doesn’t get bumped). You can request a different height of Head when you purchase a ring. The standard is a normal height, or a High Profile Head. Most Engagement Rings come with a standard Head of pretty much the same height. This is generally a High Profile Head. It really shows off a Diamond well and makes it the focus of the ring… as it should be. Tips are the very top part of the Prongs. Tips are what are bent over the top of the Diamond (The Crown) to secure it in the Head. 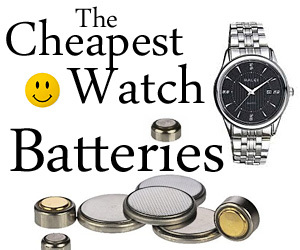 The Tips will wear down with normal wear and tear over the years. They can get thin, weak, break or even crack off. 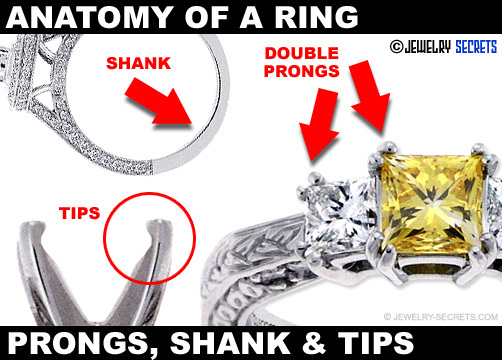 It’s a good idea to have the Prongs and Tips of your ring checked every couple of months or so. That way, if they need work (such as getting re-tipped), it can be repaired, versus waiting until a Prong breaks off and you lose a stone. Every now and then you see a ring with Double Prongs. It’s rare, but it does give the ring a different appearance. I’m on the fence with Double Prongs. I like them, but I also feel like they are double the work and double the cost of repairing them. You have double the chance of getting one caught on clothing and snagging sweaters. I can take them or leave them. It all depends on the ring. A Diamond Wrap is a Wedding Band that wraps around a Solitaire Mounting, like a Tiffany Style Ring. It’s pretty much the same thing as Jackets. Just called different things by different Jewelers. There are endless styles and designs of Wraps out there: Two-Tone, Plain, Channel Set Stones, Prong Set, Gemstones… It really is countless. I like a wrap that doesn’t sit up too high, that way it doesn’t overpower the center stone. Same thing as a Diamond Wrap. It goes up against, or around the Diamond Solitaire. Some Jackets just snug part of the stone, while others wrap almost entirely around the Diamond. And they also make Jackets that go up and over the stone, locking it in place, so you won’t need to get them soldered. They are cool and a great feature for Tiffany Style Bands. 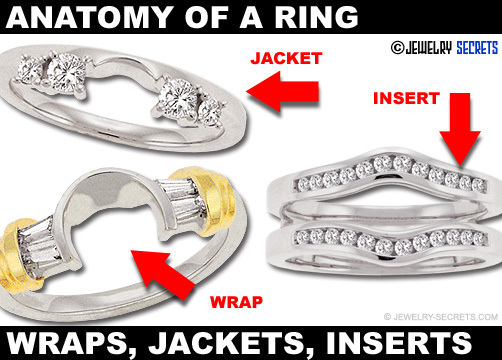 Do note that if you have a wider Engagement Ring, Wraps and Jackets may not work! You may have to opt for Custom Designed work where they will make a band to fit the Engagement Ring. 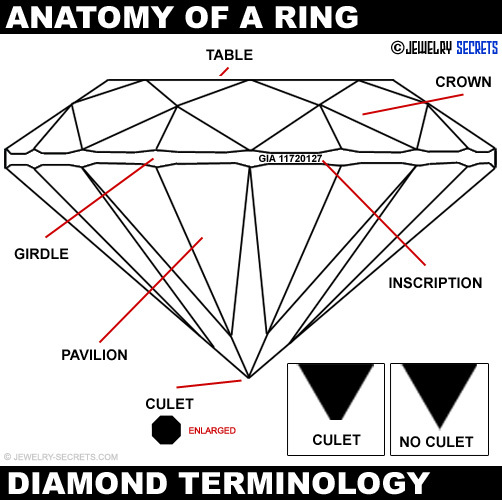 Many people think CUT is the shape of the stone, as in Round, Square, Rectangle, Triangle, but it’s not. Not entirely! The shape is the result of the Cutting Style. 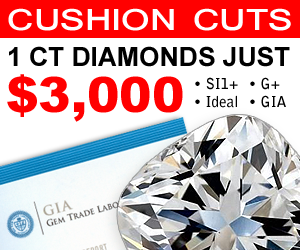 The Cutting Style is the way that Diamond Cutters facet a stone. The angle of the Facets, the angle of the Crown, the Pavilion, how they all intersect. The proportions and percentages that define the MAKE of the stone. 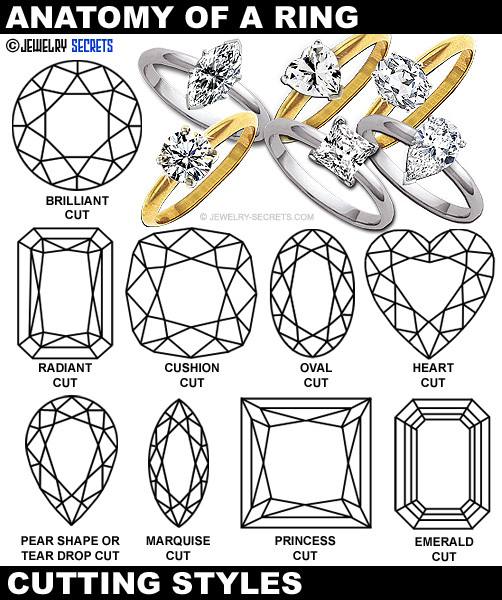 Popular Cutting Styles are: The Brilliant Cut Diamond (Most Popular Cut), the Princess Cut (Square or Rectangle Cut), the Marquise Cut (Boat Shaped, Diamond Shaped as in Playing Cards, or Football Shaped), Pear Shaped or Tear Drop Shaped, Emerald Cut (Rectangle Cut), Radiant Cut (another Rectangle Cut), Trilliant or Trillion Cut (Triangle Cut), Heart Shaped, Oval Cut and Cushion Cut. The Table is the top flap portion of the Diamond. It’s Octagon Shaped and allows you to see inside the Diamond and view all the Brilliance (White Light) and Fire (Colored Light) that a stone gives off. The Ideal size of the Table varies, but most professionals suggest a Table Percentage of 52.4 – 57.5%. Older Diamond Reports would list these percentages at the top of the Report under CUT, but now you’ll often find these down below with the Diamond Cut Profile, which will also list other Facet Percentages and Angles of the stone as well. The Crown is the entire portion of the Diamond above the Girdle. The Ideal Crown Angle is 33.7 – 35.8%. You’ll find this listed on a Diamond Report such as GIA’s Full Diamond Reports (the Best there is). If the Crown is too high, or too shallow, the light will not bounce right in the Diamond, and the Diamond may appear Dark and Lifeless. The Girdle is the line that splits the Diamond into two sections (from a side view): The top section is the Crown, and the bottom section is the Pavilion. The Girdle can be given a number of Grades: Very Thin, Thin, Medium, Slightly Thick, Very Thick, and Extremely Thick. The BEST Girdle to have is either Thin, Medium or Slightly Thick. That way it won’t stand out or look obvious. Girdles should also be even in proportions all the way around the stone. If the Girdle is wavy or uneven (like Thin to Thick), it usually means the rest of the stone is out of proportion as well. The Girdle is the weakest part of the Diamond, and often when people chip or break their stone, it’s because they hit the edge of their Diamond too hard. The Pavilion is the base of the Diamond below the Girdle. The angle of the Pavilion help bounce light across the stone so it comes back out in a million flashes of light. A stone that’s cut too shallow or too deep will lose light out of the bottom of the Pavilion and leave the Diamond dull. An Ideal Pavilion angle is 40.15 – 41.2%. The Culet is the very tip or point at the base of the Diamond. Your Diamond will either have this Octagon Shaped Facet, or it will have no Culet at all and just come to a very sharp point. Either way, unless the Culet is too large, it won’t bother the look or feel of the stone. 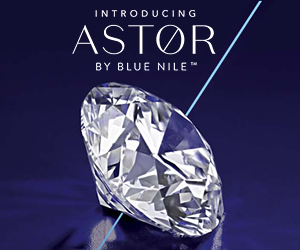 The big problem lies with a Diamond with NO CULET, as this makes the end of the stone prone to chipping or breaking, especially when Jewelers are setting the stone in a Mounting or Head. You’ll find the size of the Culet listed on a Diamond Report. The Best Culets to get are Small or Medium… That way they are not obvious when looking down into the stone. A Large Culet can look like a bullet hole! An Inscription is done by a Laser and etched directly onto the side of the Diamond Girdle. Often this Inscription is the Diamond Report Number, or Trademark of the stone. This helps to identify the stone and make it easier to match the stone up with the actual report. I highly advise buying a Diamond that’s Laser Inscribed. It protects you and prevents Diamond Switching! 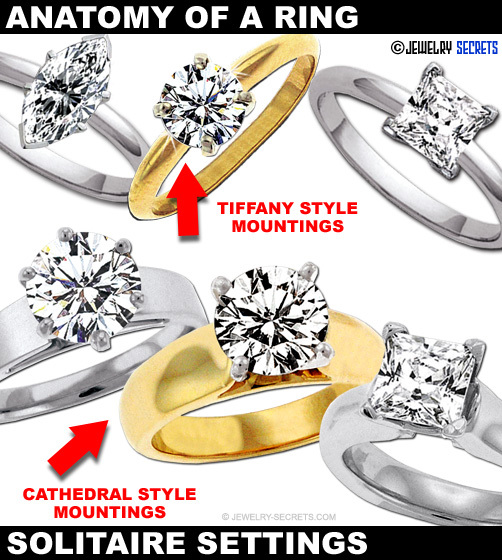 Most Engagement Rings are set with Diamonds of various qualities. A Good Clarity stone is generally in the SI range, and a good Color is often in the G-H range. I tend to lean more towards better quality stones of VS Clarity and E-F Color though, just because it adds much more beauty, sparkle, brightness and whiteness to the stone… Also dependent on having a Great Cut (Excellent or Very Good) as well! Moissanite is a Diamond Look-A-Like that’s hit the market in the last 10 years or so. 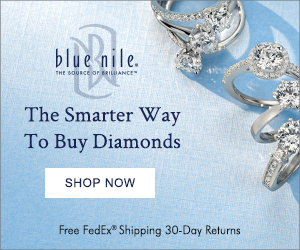 The stone tests positive on Diamond Testers (unless you have a newer tester that also tests for Moissanite), but the stone does tend to have more Color in the stone than a normal Diamond on the market. The stones appear more yellow in hue. Moissanites are becoming more popular because they are as durable as a genuine Diamond, but only cost half as much. It just depends on whether you care for the yellow shade, and don’t mind not having a real Diamond in your ring. This could be the way to go? Straight Baguettes (Baguette means “Little Stick” in French) have parallel sides and look like a small rectangle. They have very few Facets on them and mainly just reflect light to add some sparkle to the ring. They look great because they are flat, elegant and beautiful in a Channel Set Ring. I love Baguettes, but they do tend to dull up quickly because they get dirty on the bottom of the stone. They need to be cleaned often so they obtain their brilliance and sparkle and don’t look dark. 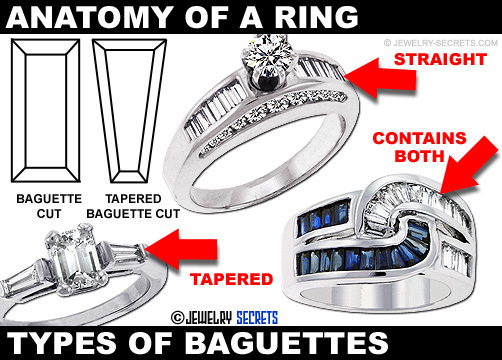 Tapered Baguettes are used to give the ring a different look. 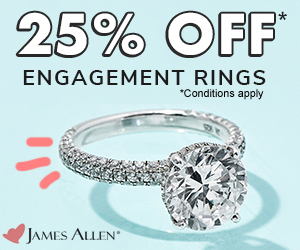 They can enhance a Solitaire like shown above by bringing focus to the center stone, or they can work great in curved channels. They use Tapered Baguettes because they can be placed side by side around a curve to achieve a smooth flawless look. The only problem with Straight or Tapered Baguettes, other than the fact that they get dirty quickly, is the fact that they are thin and if hit too hard, they can break easily or crack in half. You have to be careful with them. The best way to protect them is by setting them in channels where the walls of the ring will keep you from hitting their vulnerable edges. Pave Set Rings are some of the most beautiful rings on the market. I am in LOVE with Pave Set stones. They look Spectacular! Brilliant! Simply Stunning! Small Diamonds are set side by side in the ring and held in place with tiny prongs or small beads to create a seamless sea of Diamonds. They are awesome! I highly recommend them. 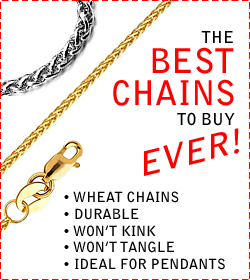 You can get a tremendous look for a great price because they use smaller Carat Weights, but a lot of them. Check them out! You’ll love them too. 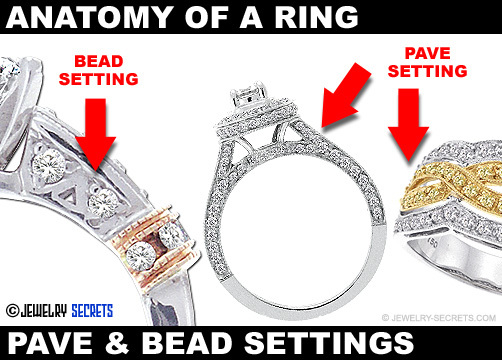 Bead Settings are similar to the way they set Pave Set Stones, but in Bead Settings they aren’t usually placed side by side. Often they will be spaced around the ring and incorporated with the actual design and style of the mounting. Little beads or prongs hold the Diamonds in place. Flush Set, or also known as Gypsy Set, is where the Diamonds or stones are set flat or flush with the mounting. Generally small holes or groves are drilled down into the band and the Diamonds are snapped into place. 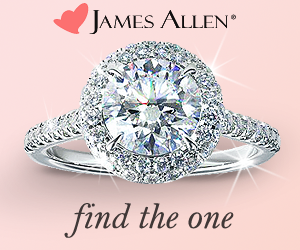 They give the ring a smooth and graceful look with no prongs or nothing to get snagged. I truly love Flush Settings and love their elegant appearance. 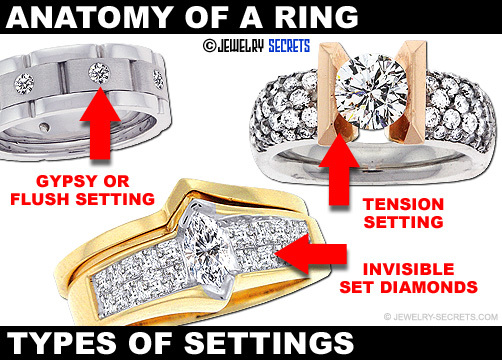 Tension Settings are where there is no head or prongs to hold in the stone. The stone is held in place by the actual mounting and nothing else. 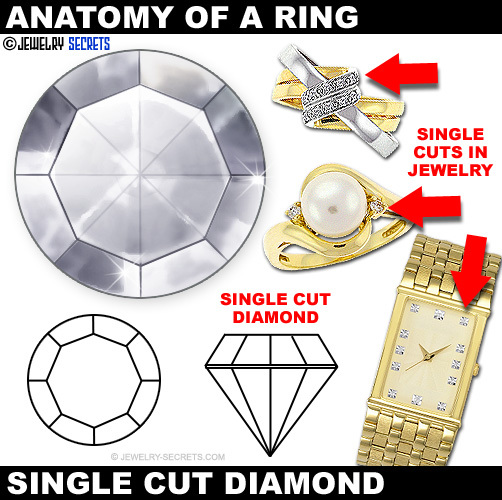 The Jeweler cuts small grooves in the wall of the ring and the edge of the Diamond fits into these slots and the mounting is pressed together until the Diamond is held safe and secure. I like how they look, but Diamonds Tension Set often come loose when bumped or hit. It could even damage or crack the stone since the sides are open. So while they look cool suspended in the mounting, they aren’t the best way to protect your valuable stone. Invisible Set Diamonds are where the Diamonds are set into a wire frame-work below the stones. They actually snap into place like pieces in a puzzle. I like how they look, but stones that are Invisible Set often get knocked loose and when this happens, many times all the stones will come loose and fall out. Not cool! I would pass on both Tension Set stones and Invisible Set stones… Just to be safe! 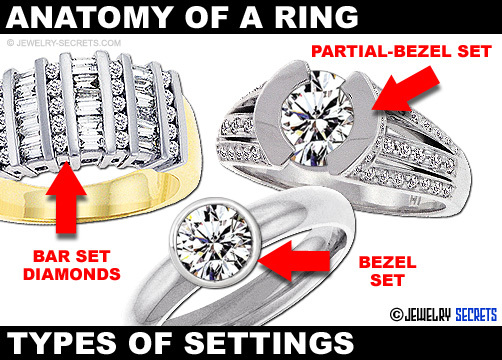 Bezel Settings are where a rim of metal is wrapped around the top edge of the Diamond holding it in place. Often this Bezel is like a cup that the Diamond sits into and then the rim is bent over the top of the stone and polished off to make it look smooth and elegant. Bezel Settings are beautiful and you won’t ever have to worry about prongs catching on things. The Downside: Bezels do make the stone appear smaller since the entire outer edge is covered up. But if you want a clean, smooth ring, you can’t go wrong with this particular style. Bar Set stones are similar to Channel Set stones with a bar on either side of the stone, but they aren’t closed up or boxed in. The bars are usually open at the ends. 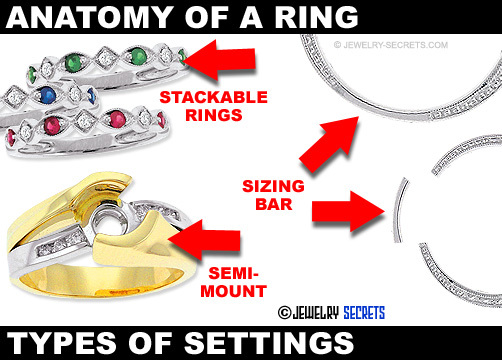 You’ll find may different types of Bar Settings, but they all tend to look good and work well at protecting the stones. Rings like this are all the trend right now. 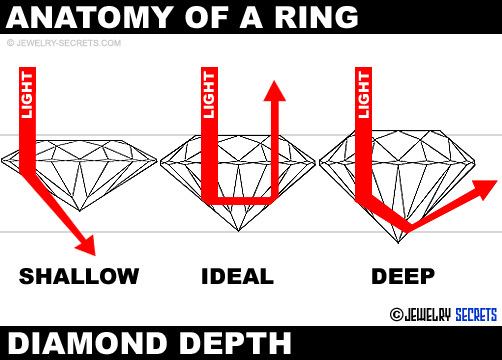 Usually 4, 6 or 8 Diamonds are set in a wire-frame head and gives the look of one huge stone, but aren’t. 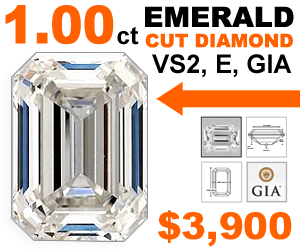 They may mimic a One Carat Diamond, but the Carat Weight could be only .33 CT instead. So you get the look, but only pay a portion of the price. You do have to be cautious with Invisible Set stones… they can come loose and fall out of the mounting easier than other types of settings. Be careful! Filigree is most often found on Wedding Bands, but sometimes you’ll see their intricate designs in Wedding Sets and Engagement Rings. They look awesome with their beautiful twists and curves. They remind me of the Renaissance Era with the fancy web-work and frills. Just be careful with these beautiful styles, the fine, dainty lacework may not be so durable or withstand the abuse that we put our rings through. 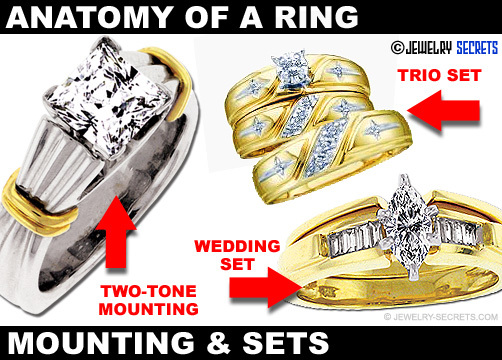 Many times an Engagement Ring or Wedding Set that is made up of mostly prongs, is called a Prong Set Mounting. They have a lot of prongs and they hold a lot of Diamonds (Think Ladies Cocktail Rings). The only problem with too many Prongs… the cost of repairs when they wear down, get thin, bend or break. It could run a pretty penny the more prongs you have. I usually advise Channels Sets instead! One Piece Rings are all the rage. They are ultimately the Engagement Ring and Wedding Ring made together as one. Just one ring for everything! (One Ring to rule them all) You get the entire look now, and don’t have to wait for the Wedding. :) It’s for the person who likes a simple, classy style, and doesn’t want to worry about the fuss fuss. Two-Tone Rings are rings that are made of two different types of metals. 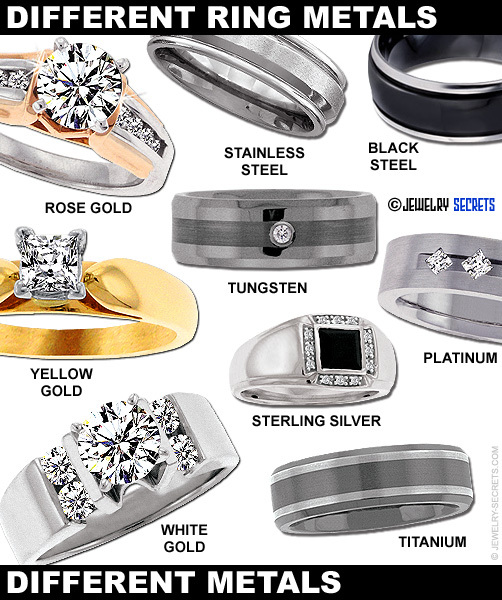 Usually this is Yellow Gold and White Gold, but you’ll find rings of Platinum and Gold, or Gold and Titanium on the market as well. I like the look of two-tone because you can wear them with anything and everything. 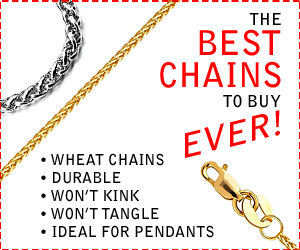 They go good with all your other White Jewelry and your Yellow Jewelry as well! It’s the perfect match for a perfect fashion. Trio Sets used to be very popular in the 80’s. Now, not so much! Trio Sets are a set of 3 rings: The Ladies Engagement Ring, Ladies Wedding Ring and the Men’s Wedding Band. And the interesting part: THEY ALL MATCH! Matching bands used to be the thing to do. But these styles are generally cheap, thin and carry low quality Diamonds. They do make better versions of these Trio Sets, but to me, they still all look like cookie-cutter rings and I wouldn’t advise them. The term Wedding Set basically means two rings sold together as one set: The Ladies Engagement Ring and the Ladies Wedding Ring. They were made to go together and when worn as one, often complete a style or design. 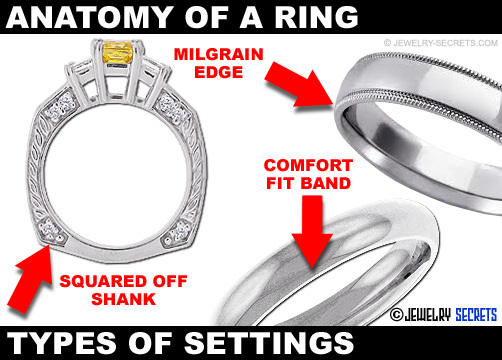 Sometimes the Wedding Ring may be nothing more than a simple, plain band that fits flush up against the Engagement Ring. But sometimes you’ll find the Wedding Ring as complex and full of Diamonds as the Engagement Ring is. It all depends on the look and feel you desire. Anniversary Rings are rings given to your Wife for an Anniversary. Whether it be one year, two, ten or one hundred, the year you decide to give her one, or the size of the Carat Weight you give doesn’t matter much. It’s just a wonderful opportunity to give her Diamonds, a show of your endless love throughout the years! There are thousands and thousands of Anniversary Bands in Jewelry Stores today. Just pick something you like and something you feel comfortable with. Sometimes these bands are meant to be worn up against the Wedding Set on the same finger, but often, because of the rings themselves, they will be worn on the opposite hand instead. Which finger you wear it on is no big deal. The deal is the celebration of another year together! Congrats! Eternity rings are where the Diamonds go all the way around the entire ring. The entire shank has Diamonds, they go around the bottom of the ring and connect to the other Diamonds on the other side to form one big line of endless stones (an Eternity). The two problems these types of rings create: They are almost impossible to size (no place to size them at), and with stones on the bottom of the ring, you’ll be hitting and bumping them often, which could result in broken or loose Diamonds. 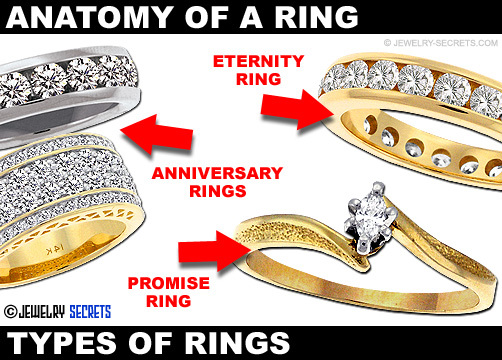 Care should be taken with Eternity Rings, or you’ll spend an eternity fixing them! Comfort Fit Bands are rings that are heavier and rounded at the shank so they fit more comfortably on the finger. They are durable and thick and you won’t ever have to worry about bending them or breaking them (Mechanics love them). People that are physical with their hands or do a lot of activity will adore comfort fit bands. The only downside to them: They are thicker between the fingers as well, so if someone grabs your hand really tight to shake it, the ring will smash into your fingers and bones and it tends to hurt quite a bit. Rings that have a flat bottom, or squared off shanks (or square-rounded off as seen above) are made for 2 reasons. 1) Design. They look cool, different, artsy and stylish! 2) They help keep your ring from spinning around on the finger because the flatter sides keep them upright on the sides. Pretty neat, eh? 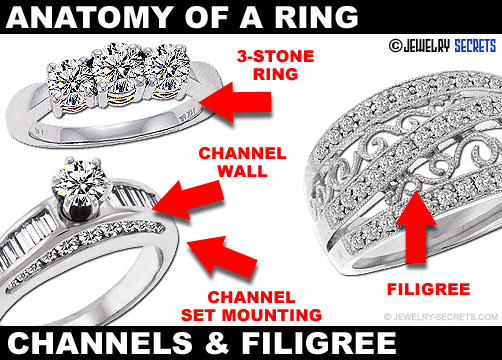 Milgrain is just a design in the ring, like small bumps, bead work, or edging around the mounting (see images above and below). You’ll see this style a lot in Wedding Bands. It’s just a neat look that adds personality to the ring without having to add much else. 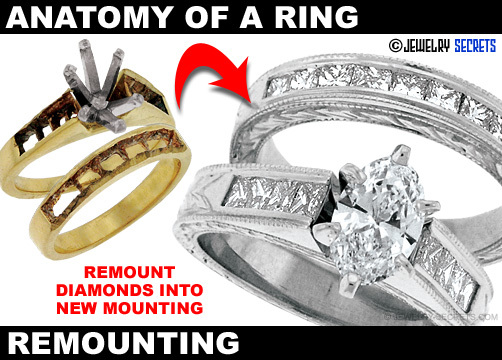 A Semi-Mount is what Jewelers call a ring that has side stones (usually Diamonds) but no center stone. It’s just the mounting missing the main Diamond. 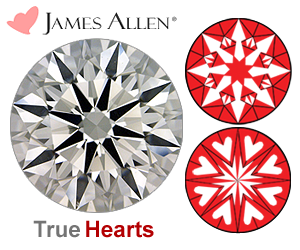 These are for people who want to buy their center Diamond Loose first (like a Certified Diamond), and then pick a mounting they love and have them put together as one. I actually recommend doing it this way. That way you can see exactly what stone you’re getting for the main showpiece (and microscope every inch of it), and then set it in a ring that gives you a one of a kind appearance. It’s good stuff and there are tons and tons of different styles and designs out there. You can’t go wrong with creating your own look! Stackables are more often used more for casual or fun rings, but you can find some cool Anniversary Bands that are stackable as well (like the ones shown above). They are called Stackables because you can stack them one on top of another (as many as you like). 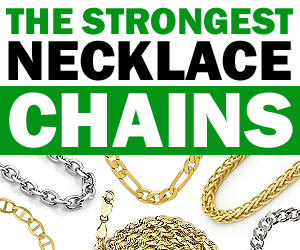 They will usually have different Colored Gemstones in them, or different shades of Gold. It really can be quite cool. You can put so many rings on your finger that it won’t even bend. HA! I’ve actually seen this happen! The Sizing Bar is where the design of the ring doesn’t continue all the way around the ring. It has a small section on the very bottom that’s primarily used for sizing purposes. 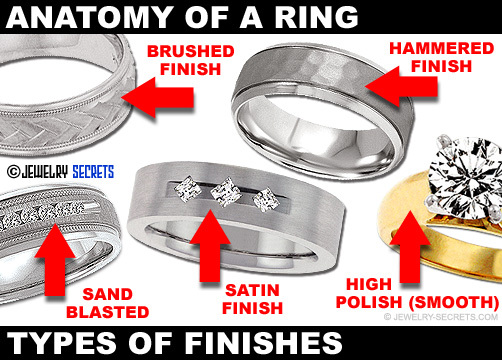 Otherwise, Jewelers would have to cut the actual pattern and try to blend it together at the bottom when they’re done. It gets difficult to do this and many times it just doesn’t look right. The Sizing Bar makes sizing rings simple and painless. If you have more items you’d like to see added to this list, drop me a line and I will post them. 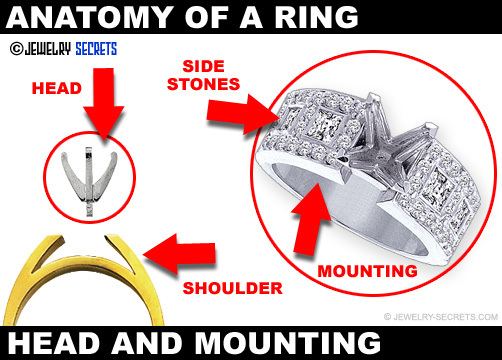 Very helpful information about rings, mounting and stones. Great job! 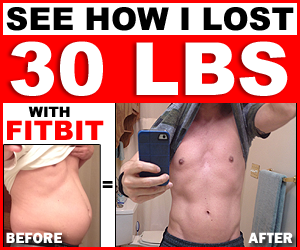 Great post, very helpful like the rest of the site, thanks! What is the style called when the basket has Filigree around it and the stone is just a larger faceted gemstone. Not diamond. Thank You! Your article is super helpful. Wonderful information and illustrations. It was a perfect ‘refresher’ course for me. Thank you very much for sharing your knowledge. What do you call the design/pattern that is sometimes on the underside of a ring under the center diamond? It is not solid underneath the stone, but has a cut out design. Hi JoAnn, there is no true name for the holes underneath the stones, it’s just makes it easier for jewelers to set the stones without chipping the culets. Read more in my post here: Holes underneath stones. Hello, the photo of the promise ring example what is that type of band called? Like where the band meets on opposite sides of the stone? I have some Rings with bezel set colored stones. Unfortunately the stones have cracked and I would like to replace them. How difficult is it to replace stones in a bezel set ring?